With this CySEC advanced mock exam course, you will get all the key test questions to pass the CySEC advanced exam. With this CySEC advanced mock exam course, you will get all the key test questions to pass the CySEC advanced exam. You can complete this course as often as you want, in order to be self-confident and well prepared for the exam. 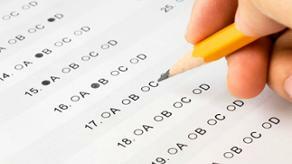 This CySEC advanced mock exam course includes 184 challenging questions. After successful passing, this course many times, you will get the exam very easy.